In magnificent Santorini, there is Perissa Village of Santorini which is very famous for the black beach. 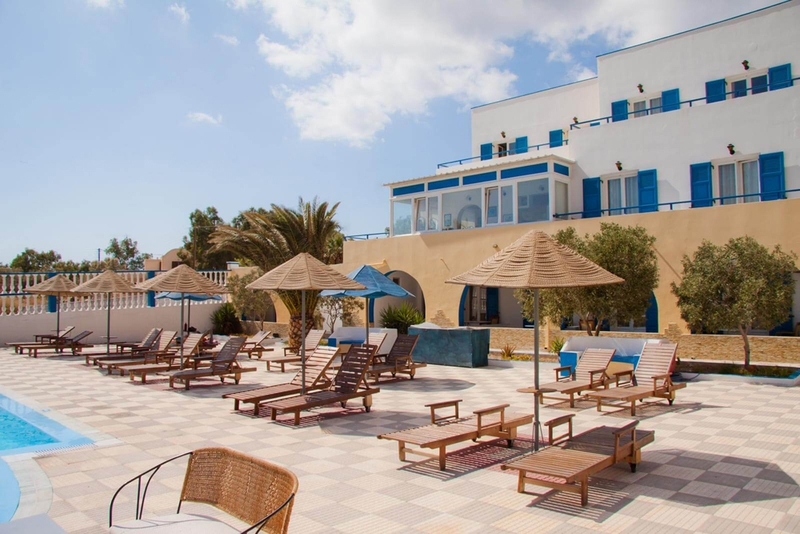 Only 300 m from the beautiful Perissa beach, the Marianna Hotel welcomes you. 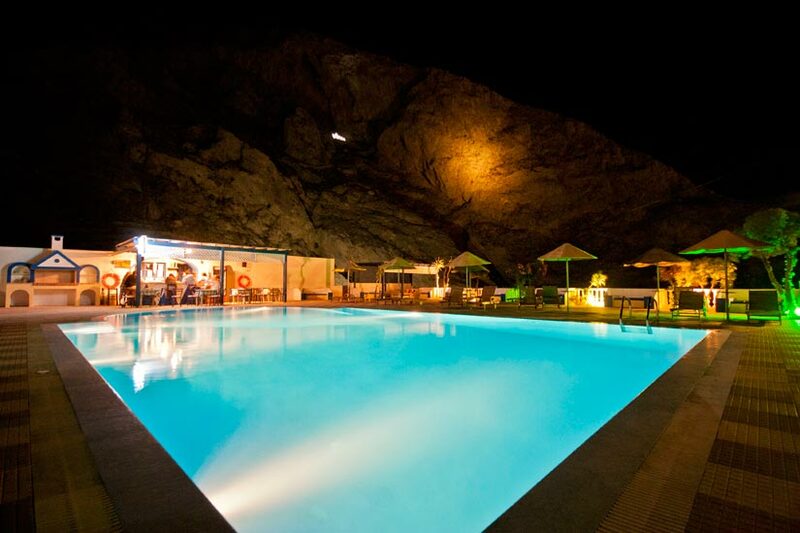 The friendly environment and the family atmosphere, promises to make you stay in Santorini, unforgottable experience. 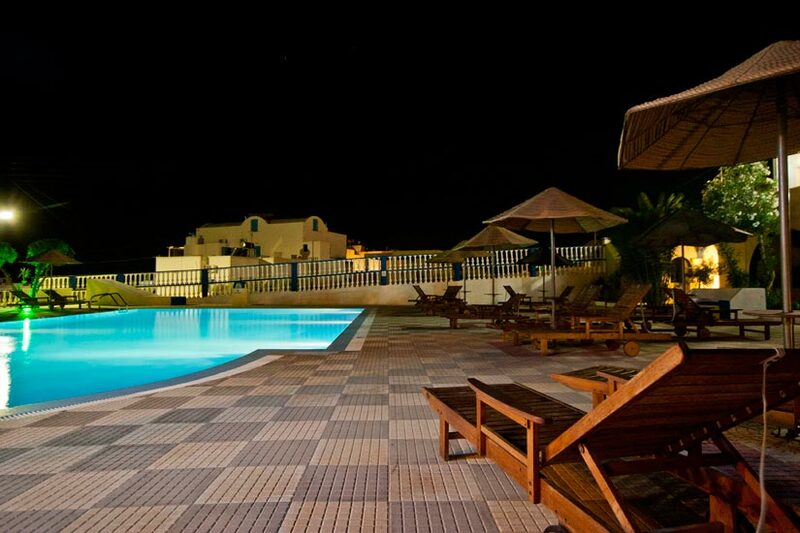 The hotel features a swimming pool with pool bar, a snack bar where breakfast is served and other modern facilities. 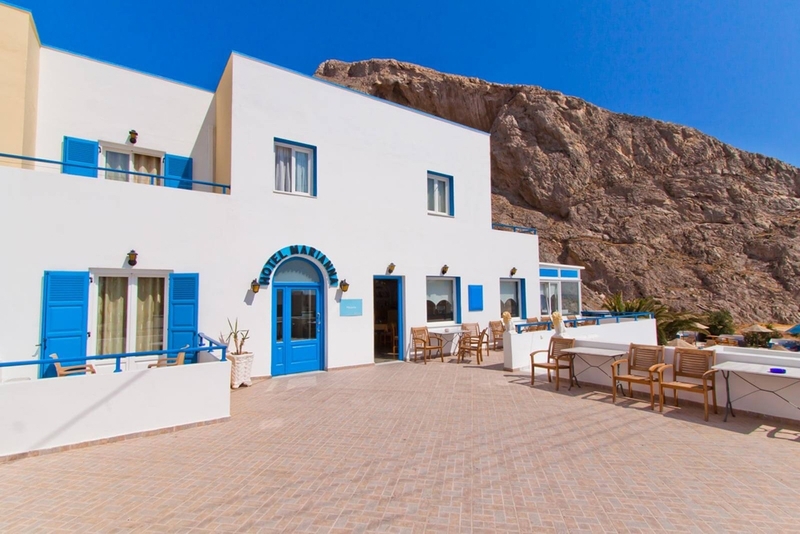 Marianna Hotel is looking forward to welcoming you and wishing you a pleasant stay and nice holiday in Santorini. Please note that the overnight accommodation tax of 0,50 is not included in the cost and is payable upon arrival at the hotel. Room requests are subject to availability and not guaranteed. We will endeavor to meet your requirements where possible. Perissa is one of Santorini best beaches. Next to Emporio village a long dark sand endless beach. A feature that makes Perissa unique (besides the crystal water and the smooth sand) is the fact that is the best protected beach from the summer Aegean winds (called "Meltemia" in Greek). Perissa lies right next to Profitis Ilias mountain, totally protected from the North. 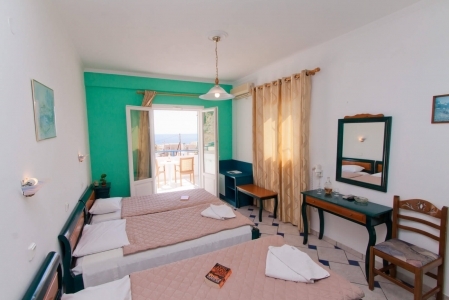 Marianna Hotel is located in Perissa Santorini, only 300 m from the beach and 200 m from cafes, restaurants, clubs and super markets. 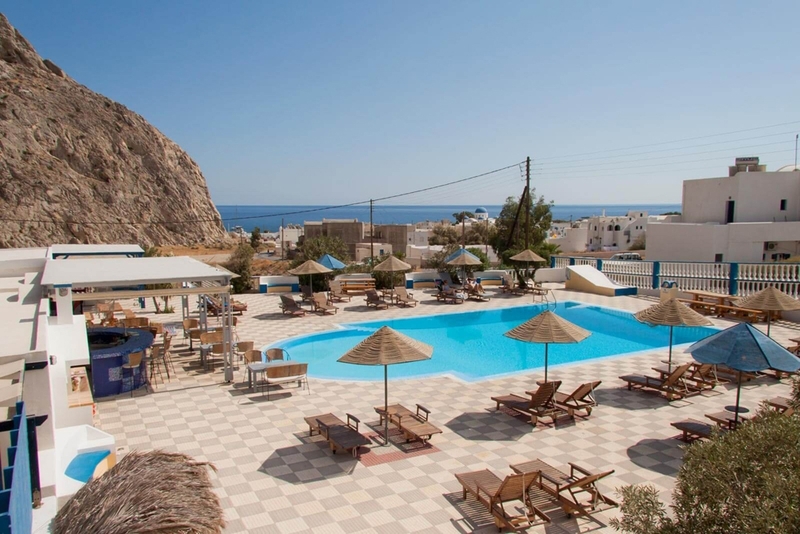 10 km from the Fira town, 11 km from airport, 12 km from port. Me and a friend stayed at the Marianna hotel for a week and I Only have everyone there to thank for an amazing stay in Perissa. I recommend this hotel to everybody. 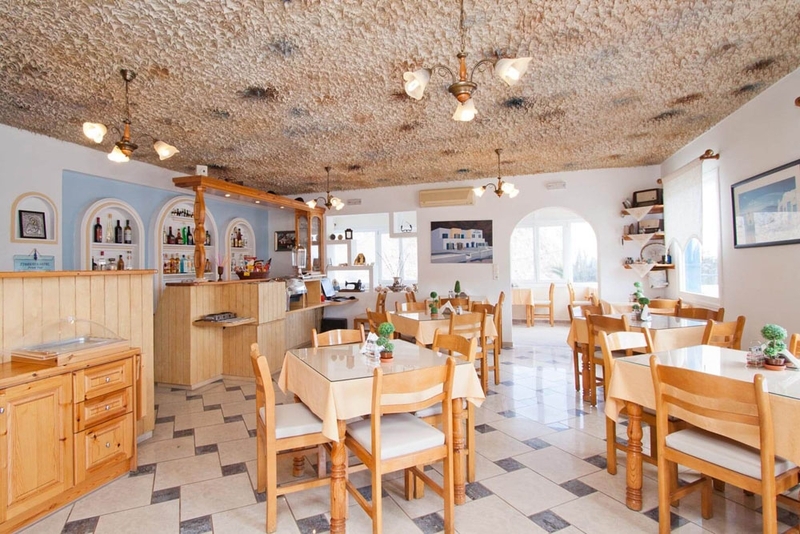 It's a calm place near the beautiful Perissa Beach and the staff are amazing.